We have been in the business since 1824 and with our experience and expert know-how we provide you with the best service in the local area including but not limited to Witney, Bicester, Abingdon or Banbury. Looking for storage and house removal in Oxford? At A.G. Jacob & Sons we have been in the business since 1824 and with our experience and expert know-how we provide you with the best service in the local area including but not limited to Witney, Didcot, Bicester, Abingdon or Banbury. Whether you require a removal service for a commercial or domestic need we are able to deliver a truly outstanding service. When it comes to removals we know that you expect a friendly, efficient and reliable service which is exactly what A.G. Jacob & Sons delivers. Based in Oxford we are ideally located to cover the following areas: Witney, Bicester, Abingdon, Banbury and surrounding areas. As well as removals we pride ourselves in being able to provide a first class storage service. Storage is becoming increasingly useful as people downsize and look to maintain their possessions at the same time. Maybe you’ve moved to a smaller location or simply run out of space to store things. Our storage is accessible, secure and affordable. 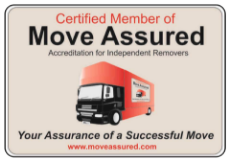 If you’re looking to move soon or you’re interested to find out more about our services then why not browse our website or if you like go to our contact page and send us an email. You can also call us on 01865 762 524.